Replacing a timing belt can be a very expensive operation in some cars, but not replacing it can sometimes be catastrophic for your car. You need to know when you need to replace it before you destroy your engine. The timing belt rotates parts of your engine so that it will run your car. Without it, your engine would not run. Timing belts are not designed to last forever. Just like hoses and other belts, they will need replacing from time to time. However, you might replace hoses often, but a timing belt will last years. Here are some signs that the time has come for replacement. You’ll hear the engine misfire now and then. This might be caused by the timing belt slipping, leaving one cylinder opening or closing earlier than it should. You should have this looked into right away to prevent a major engine problem. If you’re having trouble with your car starting and the starter seems to be doing its job, it could be the timing belt is broken. Although, usually this is the last thing to suspect, because the timing belt most often will break while the car is running. If you have an oil leak and see that it is coming out in the front of the engine, the timing belt cover might be the cause. The nuts and bolts might loosen over time, resulting in an oil leak. This can cause overheating of the engine and the timing belt wearing out early. 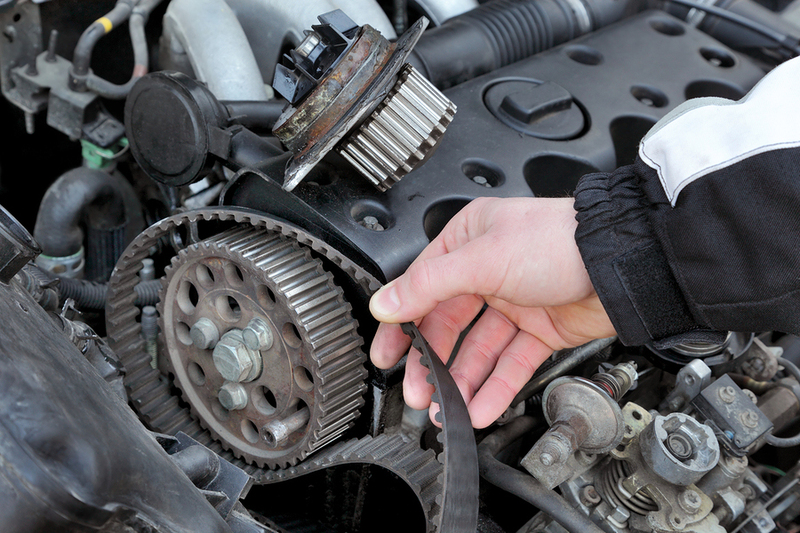 If you’re having any of these problems with your car or truck or you suspect it is time to replace the timing belt, stop by Reliant Auto Repair right away. We’ll inspect your car and find out the true cause of the problem.